Only 168,000 Miles! Delivers 24 Highway MPG and 17 City MPG! This Lincoln Town Car boasts a Gas V8 4.6L/281 engine powering this Automatic transmission. Watts linkage rear suspension, Valet key, Universal garage door opener. 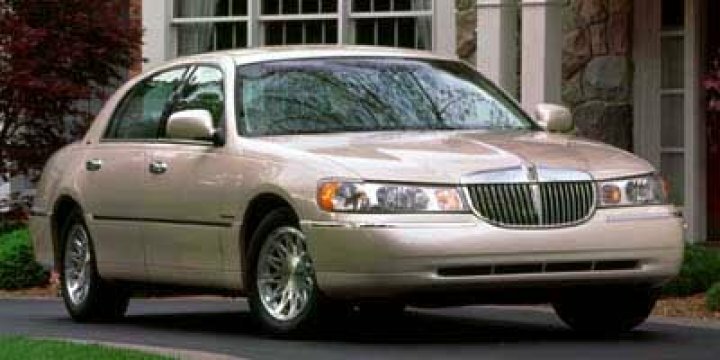 * This Lincoln Town Car Features the Following Options *Speed control w/tap-up/tap-down feature, Solar tinted glass, Soft textured touch zones, Single key for door/ignition, Single exhaust system, Remote releases for fuel filler door & decklid, Remote keyless entry system w/illuminated entry, theater/exterior lighting, Rear-wheel drive, Rear window ledge carpeting, Rear window defroster. * Stop By Today *Test drive this must-see, must-drive, must-own beauty today at Bleecker Chevrolet, 1200 E Cumberland St, Dunn, NC 28334. Certain data and other content displayed herein is copyrighted. All rights reserved. All vehicles are subject to prior sale. While every attempt has been made to ensure the accuracy of the data displayed, HomeNet Automotive and the Dealer (Bleecker Chevrolet Used) are not responsible for any errors or omissions. All information is gathered from sources that are believed to be reliable, but no assurance is given that this information is complete and we cannot assume any responsibility for errors or omissions or warrant the accuracy of this information. * Based on 1999 EPA mileage estimates, reflecting new EPA fuel economy methods beginning with 1999 models. Use for comparison purposes only. Do not compare to models before 2008. Your actual mileage will vary depending on how you drive and maintain your vehicle.